Fondation Blachère is announcing the presentation of La Parole aux Femmes in its art centre in Apt (France) from 7 October 2014 to 7 March 2015. This exhibition brings together Ifeoma Anyaeji (Nigeria), Safaa Erruas (Morocco), Cecilia Ferreira (South Africa), Justine Gaga (Cameroon), Ayana V. Jackson (USA/South Africa), Hélène Jayet (France), Euridice Kala (Mozambique/South Africa), Wanja Kimani (Kenya/Ethiopia), Ope Lori (Great Britain), Mavis Tauzeni (Zimbabwe), and Kara E. Walker (USA). 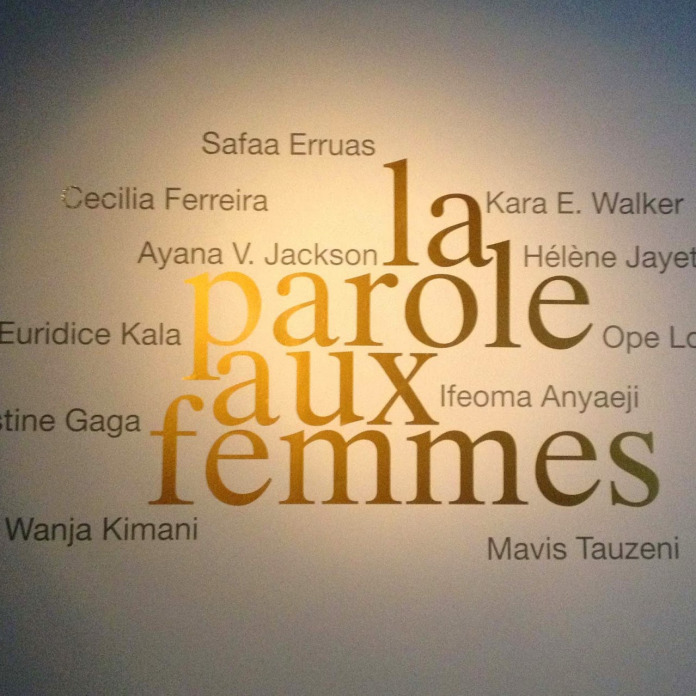 A new version of the exhibition that premiered at Galerie Le Manège, Dakar in 2011, the project draws its title from La Parole aux Négresses(1978) by Awa Thiam, one of the first African feminist writings, and extends its reflection to a contemporary, transcontinental, and diaspora approach. This presentation consists in previously unseen pieces commissioned by Fondation Blachère, produced during a creative workshop held in January 2014 at Wemah Art Project (Bonendalè, Cameroon), and in residency in Apt. The show also includes works by artists who have developed a long-standing interest in the female and black body, both from an intimate and collective perspective. This exhibition is accompanied with a bilingual (French and English) catalogue published by Fondation Blachère.